Tired of managing EDI maps? Integrate with the latest EDI technology and pre-built maps to all of your trading partners. Lacking visibility metrics? Our integration provides real-time reporting, billing and notifications. Is your IT department spread thin? Our cloud-based, outsourced EDI solution requires no additional hardware, software, IT staff or maintenance after implementation. Looking for a scalable solution? 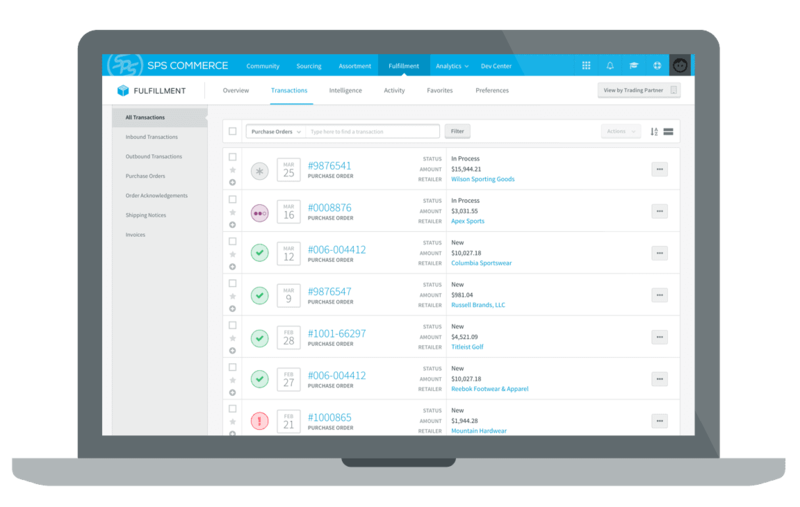 Automatically adapt to your customers’ current and future needs with one connection to the SPS Commerce network. Retail’s largest network. Fast implementation. No software needed. Future-proofed EDI. Cloud-based solution.